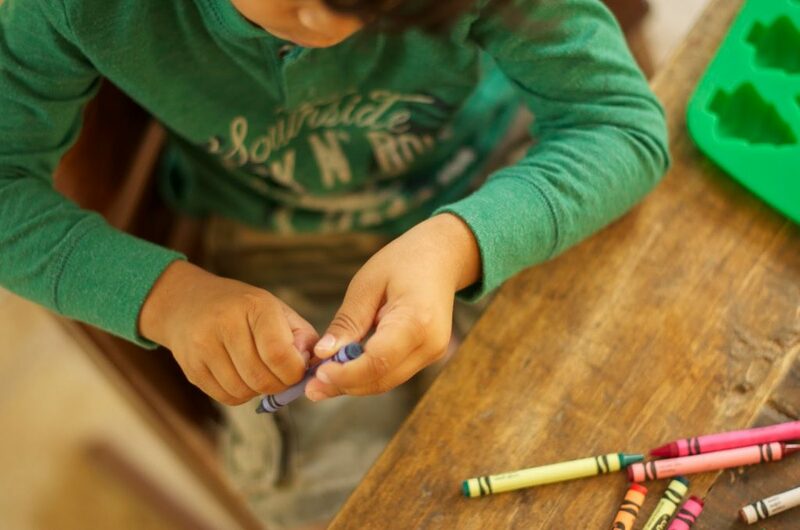 Remove wrappers from each crayon and break into small bits. 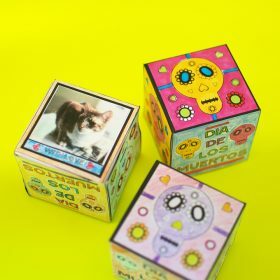 Arrange in your molds and get creative with the color combinations. For all my northeastern peeps, here is a fun snow day craft. In San Diego, as you know, it is sunny 99% of the time. This may sound weird, but I miss winter (a little). I miss the snow(just a tiny bit), and the excuse to stay indoors and hunker down searching for fun things to do. 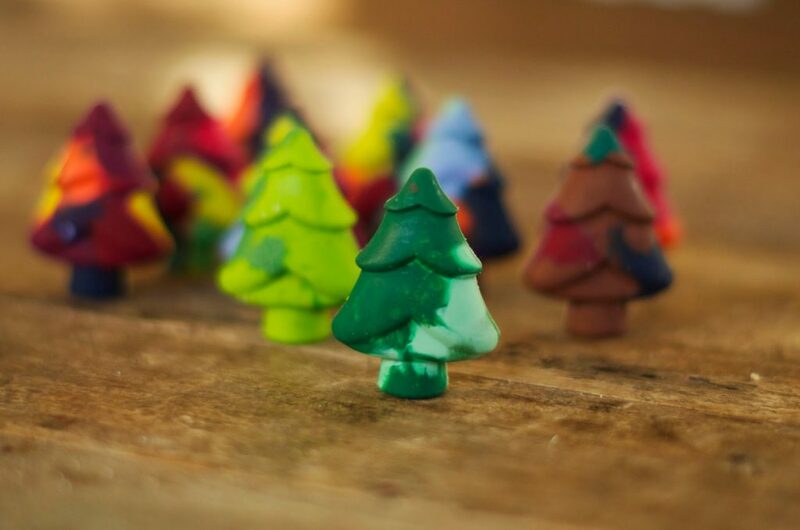 So, these crayon pine trees were our little piece of winter fun. 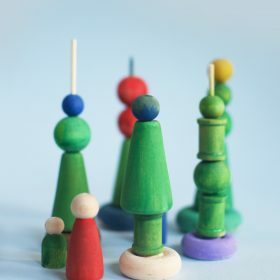 On a good and cloudy morning, and got busy with this wintery themed activity. I was surprised at how patiently Rowan applied himself to getting rid of the wrappers on the crayons. And it was exciting for him to watch them melt in the oven. 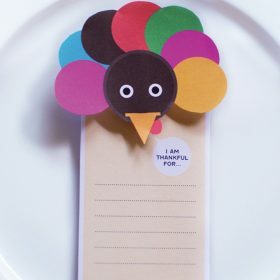 Ideally, you would gather your used up crayon bits in order to make them new again. 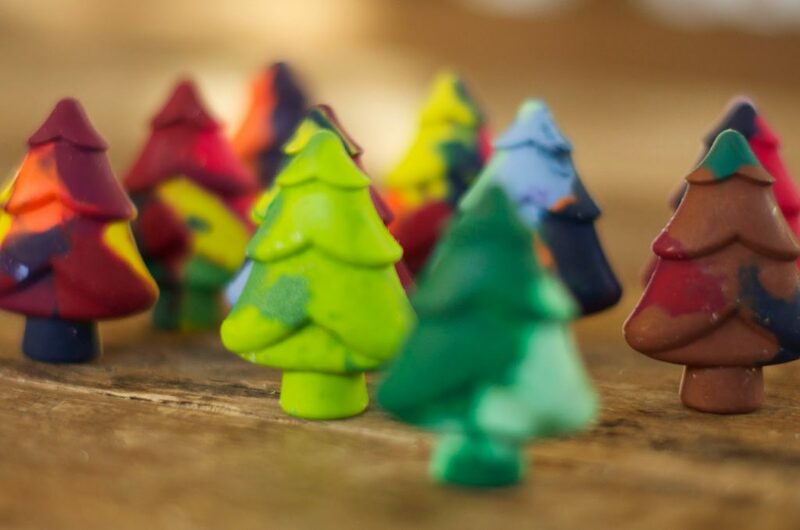 We actually had a big box of crayons that we inherited from a friend, and I thought it would a fun way to convert them into something different, yet usable. 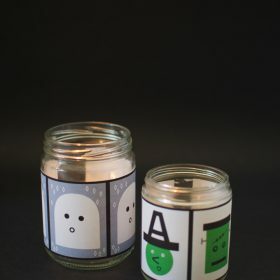 These would make a great party favor or a lovely addition to a birthday gift. 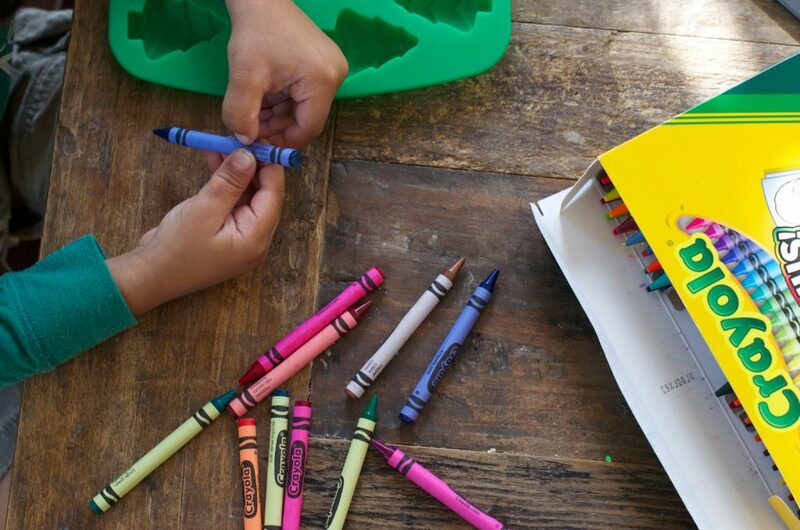 Plus, by recycling your old crayons you can save a little dough, win win. Preheat oven to 150 degrees. 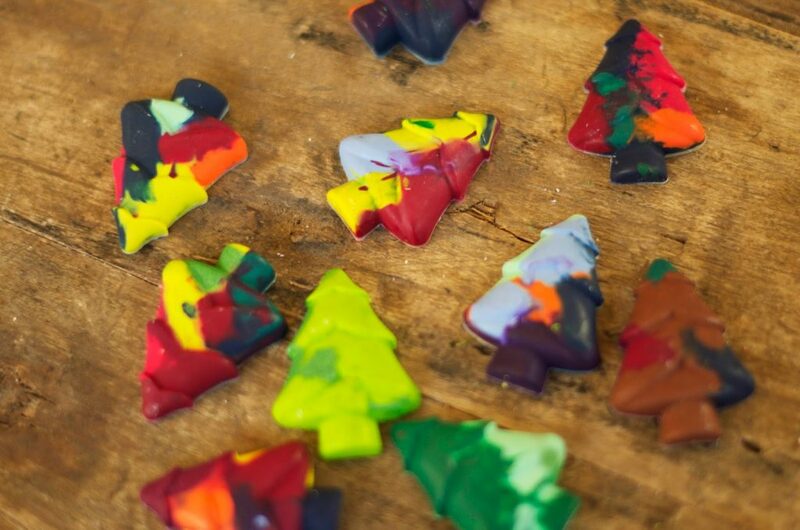 Remove paper wrappers from crayons and break apart into small pieces. 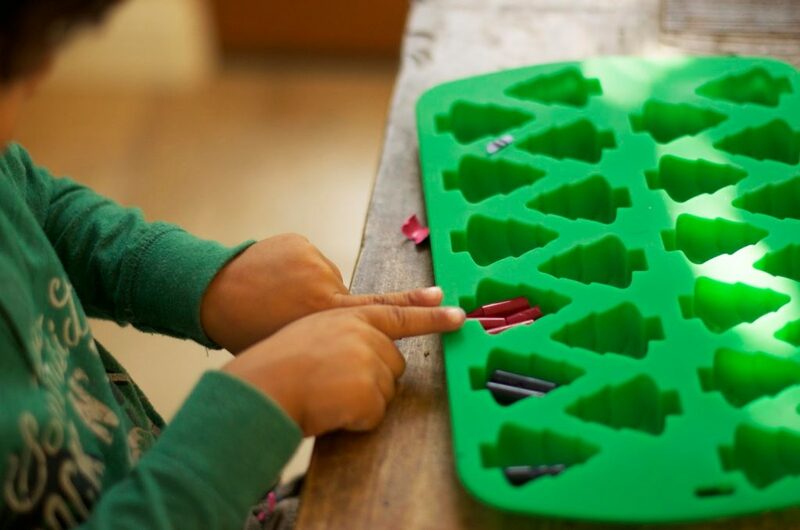 Arrange crayon pieces in the molds. Bake in the oven for 15-20 minutes until fully melted. Remove from the oven and let cool about 30 minutes. When cool, pop out of molds.